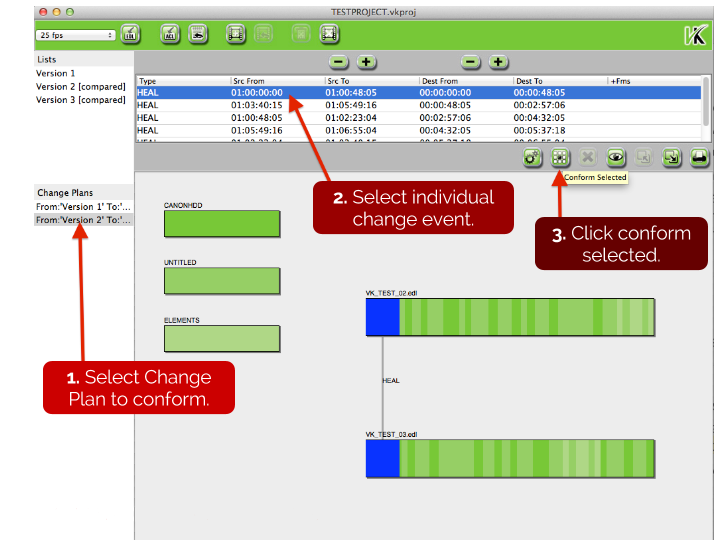 Manual step conforming allows a user to conform an individual change event one at a time. Before using this, the EDLs have to be imported into the VK project and a Change Plan needs to be created. Once this is done, follow the steps shown in the image below. Repeat steps 2 and 3 incrementally for the remaining change events to individually walk-through each conform step.